The Christian who dies in Christ is “away from the body and at home with the Lord” (2 Corinthians 4:16-15:8). A Catholic funeral expresses this hope of resurrection and provides friends, family and the Church community with an opportunity to pray for the soul of the deceased and to entrust it to God. 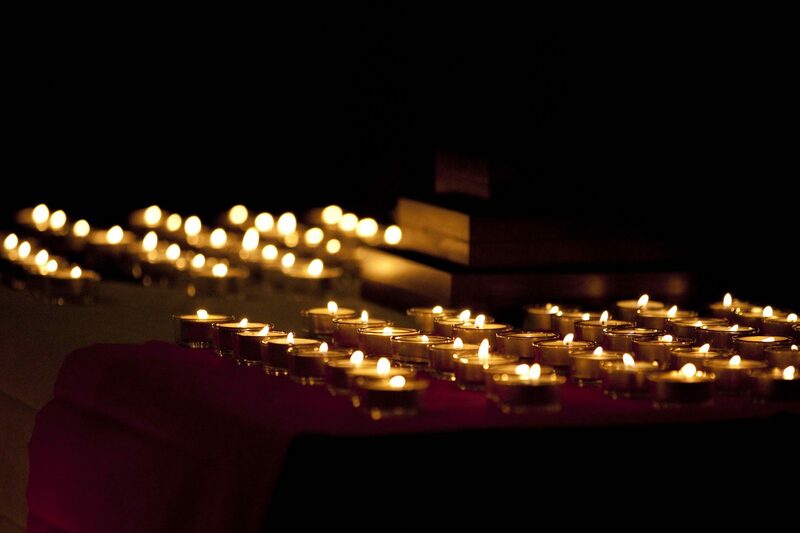 A prayer service (a Vigil) is usually held the evening before the funeral. Family and friends gather in the home of the deceased, in the funeral home, or in the church to pray and remember the deceased. A funeral service can be held with or without Mass. Throughout the service, laypeople may participate as readers, musicians, pallbearers, ushers, and in other usual roles. When the body is received into the Church at the beginning of the Mass, the priest sprinkles it with holy water in remembrance of the person’s Baptism. During the Final Commendation and Farewell, the gathered assembly bids the deceased farewell and entrusts him / her to God’s care. This is followed by a song of farewell, during which the body of the deceased is honored with incense as a visible reminder that during the person’s earthly life, he or she was a temple of God and dwelling place of the Holy Spirit. The family and friends of the deceased do not stand alone, but with the Church there to offer its gift of presence and hope based on faith. Please check with the Parish Office for priest availability and mass timing before confirming the timing at the crematorium and publishing an obituary. The Secretariat will then make arrangements with the St Padre Pio group to organize prayer services at the wake, and a choir/altar boys (if needed). You can apply for a niche in the basement columbarium, they can be single, double or quadruple. Do obtain the form from the office and make the payment accordingly.